As a part of your CSR initiative, you can sponsor Low cost Tablet PCs to schools adopted under this support my school campaign or any other school of your choice. We can also assist you in finding a deserving school selected on parameters laid down by you. Once the school/s is/are identified, with your sponsorship we go on the ground and get iScuela implemented in the school. We follow the implementation with Teacher training programs, Regular documentation of student progress, Pre & Post assessments to demonstrate measurable impact due to the project. Comprehensive annual report. Professionally shot Video to summarise on-ground work This project can also be undertaken by adopting a village and identifying deserving children, who can reap benefits of the program. 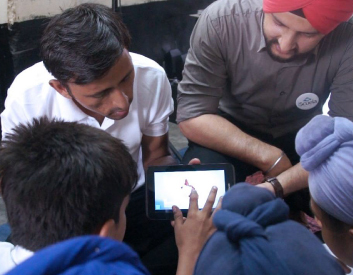 Bridging the digital divide across India. 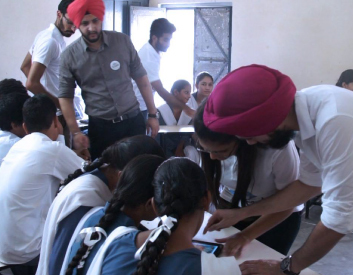 One of the objectives of creating iScuela was to bridge digital divide and use technology to spread high quality education to even the remotest parts of the country. 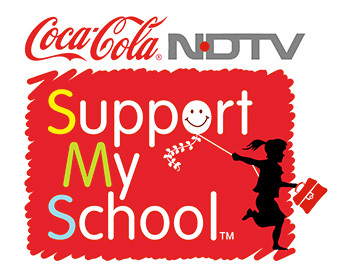 This mission has gotten of to a great start with Espranza partnering with Coca Cola and NDTV to join “Support My School” Campaign. 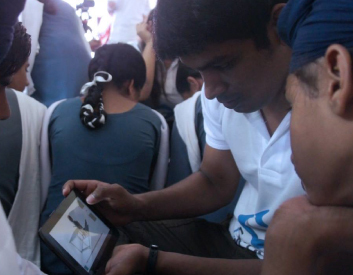 Our team will be involved on the ground, with iScuela being distributed on various delivery mediums to improve learning levels. This will help students, lay foundations for their better tomorrow. We would be taking up schools in phases with the mission of scaling this project to all the 600 schools adopted under this campaign. We would like to encourage all to give their support in helping us achieve this goal. Please feel free to contact us to discuss possibilities of collaboration for this project. Copyright © 2016 Espranza Innovations / All rights reserved. Espranza Innovations Pvt. Ltd. is committed to ensuring that your privacy is protected. Should we ask you to provide certain information by which you can be identified when using this website, then you can be assured that it will only be used in accordance with this privacy statement. Espranza Innovations Pvt. Ltd. may change this policy from time to time by updating this page. You should check this page from time to time to ensure that you are happy with any changes. This policy is effective from 1/02/2013. You may request details of personal information which we hold about you under the Data Protection Act 1998. A small fee will be payable. If you would like a copy of the information held on you please send us an email at support@espranza.net and information will be mailed to you on your registered address provided to you when you signed up with us. Cancellations will be considered only if the request is made within 72 hours of placing an order. However, the cancellation request will not be entertained if the orders have been communicated to the vendors/ merchants and they have initiated the process of shipping them. No cancellations are entertained for those products that the Espranza Innovations Pvt. Ltd. marketing team has obtained on special occasions like Pongal, Diwali, Valentine’s Day etc. These are limited occasion offers and therefore cancellations are not possible. In case you feel that the product received is not as shown on the site or as per your expectations, you must bring it to the notice of our customer service within 24 hours of receiving the product. The Customer Service Team after looking into your complaint will take an appropriate decision but it will upon discretion of the company. The information contained in this website is for general information purposes only. The information is provided by Espranza Innovations Pvt. Ltd. and while we endeavor to keep the information up to date and correct, we make no representations or warranties of any kind, express or implied, about the completeness, accuracy, reliability, suitability or availability with respect to the website or the information, products, services, or related graphics contained on the website for any purpose. Any reliance you place on such information is therefore strictly at your own risk. Through this website you are able to link to other websites which are not under the control of Espranza Innovations Pvt. Ltd. . We have no control over the nature, content and availability of those sites. The inclusion of any links does not necessarily imply a recommendation or endorse the views expressed within them. Every effort is made to keep the website up and running smoothly. However, Espranza Innovations Pvt. Ltd. takes no responsibility for, and will not be liable for, the website being temporarily unavailable due to technical issues beyond our control. The term 'Espranza Innovations' or 'us' or 'we' refers to the owner of the website whose registered office is 1085 Sector 15 B Chandigarh. Our company registration number is U72900CH2008PTC031226 and is registered in CHandigarh. The term 'you' refers to the user or viewer of our website. You may not create a link to this website from another website or document without Espranza Innovations Pvt. Ltd.'s prior written consent. Orders are shipped within 15 working days or as per the delivery date agreed at the time of order confirmation and delivering of the shipment subject to Courier Company / post office norms. Espranza Innovations Pvt. Ltd. is not liable for any delay in delivery by the courier company / postal authorities and only guarantees to hand over the consignment to the courier company or postal authorities within 15 working days from the date of the order and payment or as per the delivery date agreed at the time of order confirmation. Delivery of all orders will be to registered address of the buyer as per the credit/debit card only at all times(Unless specified at the time of Order). Espranza Innovations Pvt. Ltd. is in no way responsible for any damage to the order while in transit to the buyer. Payments Espranza Innovations Pvt. Ltd. is proud to use EBS for fast, easy and efficient secure payments. All major credit cards are accepted. For all the knowledge base products which are in the form of membership accounts after successful payment, will be delivered instantly.